"Elon Musk should be afraid. Very, very afraid." The war of the electric car has become an exciting one for consumers. As each corporate car manufacturer around the world races to become the bright face of the ideal modern environmentally safe car consumers have gravitated from the likes of the Toyota Prius to the Tesla Model S as each set the benchmark of what a green energy vehicle is. Even with the likes of GM and Honda investing in their Hydrogen powered cars hoping to offer an alternative solution, too much love is levied at the idea of an electrically powered car for attention to wane. That’s why when a new electric car appears that shatters the benchmark for price and hits the new standard for range on a full battery it’s worth noting. 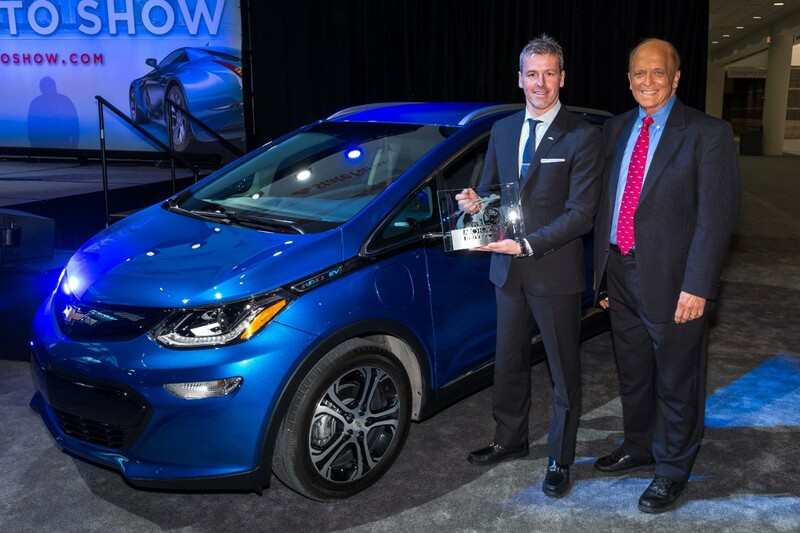 The Chevrolet Bolt EV started the year strong taking the 2017 Motor Trend Car of the Year award and Best of the Year for the Chicago Auto Show. It easily hammered down the competition including the reigning champion of Electric cars, the Tesla Model S.
So how did it dethrone the king? First off the range. The EPA certified the vehicle at 238 miles to the full charge, easily placing among the longest running pure electric cars. The second, and more strongly promoted point was $29,995 after a $7,500 rebate. For comparison, the BMW i3 only manages 160 range at best costing $47,500 while the Tesla Model S averages around 218 and costs around $70 thousand. This fact is in addition to the overall performance which, according to judges stood well above the competition in handling, weight, and overall RPM. So much so that in Motor Trend’s article announcing it as the winner they considered it, less an excelled electric car but rather a world class car in its own right. The praise for the Bolt EV to the point where the executive editor of Motor Trend, Mark Rechtin considered the debut of the Chevrolet Bolt EV to be a literal challenge to Tesla, “Chevrolet has made affordable long-range electric transportation available to the masses. Elon Musk should be afraid. Very, very afraid.” He said. For the record, this is the second time in history an electric car has won the Motor Trend Car of the year award. The first being Tesla Model S in 2013. Also, GM is now releasing test videos of the Bolt EV as their primary vehicle for testing self-driving cars and is looking to test the vehicle’s capacity in major metro areas. Thus far its tests (shown below) are proving successful. For now, consumers should be content that such an affordable electric car exists and it sits competitively among its peers as the competition races to one-up each other. At least, it’s an exciting time to see such competition for the best electric car. Does anyone ever wonder what these awards do for the consumer? 🙂 I mean, the prices are not going DOWN because you are buying from an award winning dealership, so what is the point of them? AND why are the same companies always winning? Seems like a pay to play type of thing. Chevy has been chomping at the bit to get something on the market that will sell. With a few options for electric cars out there, the company has the right idea, they are just not able to sell. the prices are too high for what you are getting. That is partly why I get surprised when I see awards like this handed out. What about the “more bang for your consumer buck award”? I am not sure that Musk is going to be afraid of anything at this point. There is plenty of room in the consumer automotive market for the Tesla and the hydrogen powered cars that are on the way. It is nice to see a big name company get things right, but how much are consumers will to pay for something like this? Cars are not getting cheaper as you know. There is always a group of consumers out there that will buy. I guess if they are getting incentives from the government, it might make a difference?